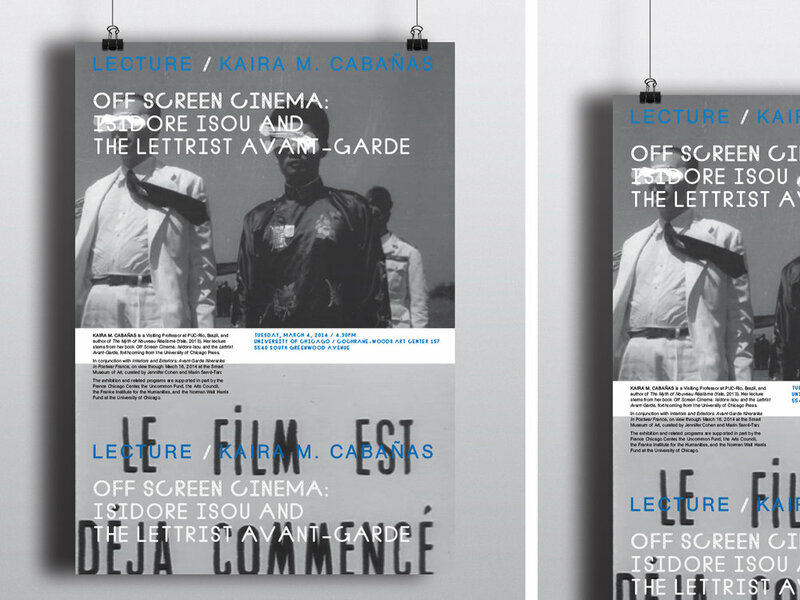 Poster designed on the occasion of a film screening and lecture at the University of Chicago, on the work of Isidore Isou and the Lettrist Avant-Garde. / Design Detail / Film stills are stacked and spaced to suggest the vertical movement of film on a reel. Neal Fletcher’s Bouwen Holes typeface further references the physical edges of film.